Clothing/Jewelry Description: Possibly white t-shirt with a brightly colored design on the front and the words "New Orleans" underneath, gray cut-off sweatpants, a gold bracelet, a gold necklace and a gold chain ankle bracelet. Distinguishing Characteristics: Caucasian female. Brown hair, brown eyes. Kemberly wore clear braces on her teeth at the time of her 1997 disappearance. She has thick eyebrows and her ears are pierced. Her nickname is Kem. Her shoe size is 6 1/2. Kemberly attended a softball game on the night of August 15, 1997, then visited her boyfriend and other friends. She left her boyfriend's house sometime between 11:00 and 11:45 p.m. to return to her father's residence, which was about a five-minute drive away, and her car pulled into the driveway at around midnight. She has never been seen again, and none of her shoes disappeared with her. She vanished four days before she was due to start her senior year of high school. She planned to attend the University of South Alabama and major in physical therapy. Kemberly's parents reported her as a missing person at 9:00 a.m. on August 17, two days after she was last seen. There was evidence of a struggle inside her bedroom and it's possible that she was been taken against her will. Foul play is suspected by both the police and Kemberly's family. Her boyfriend and all her family members have been ruled out as suspects. Her personal belongings were left behind at the home, including her eyeglasses, her contacts, jewelry, and money. Nine months after Kemberly's disappearance, on her eighteenth birthday, investigators searched a rural Walton County lake. They were acting on two tips that her body had been dumped there. The search lasted three days and turned up no clues relating to Kemberly's case. In 2001, a non-profit group in Texas searched Baptism Hole with cadaver dogs and got several hits. They dug up an engine block with a rope tied to it, but had to leave the site before they could excavate it completely. The next day the FBI brought in its own dogs and the animals gave no indication of smelling human remains, so there were no more searches conducted in that area. 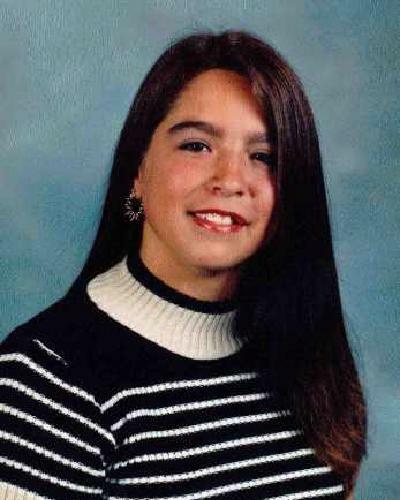 In September 2006, investigators searched a sinkhole near Ponce de Leon, Florida for Kemberly's remains after receiving an anonymous tip directing them to that location. The search turned up no evidence and Kemberly's case remains unsolved.